Have you heard ?!? Fantasy Faire has been extended up until the 7th of May ! That leaves you three whole days to explore the gorgeous sims, hurry ! Each skin includes a huge amount of options, from appliers to eye brow shaper,and even system skin for those that did not mesh up just yet ! 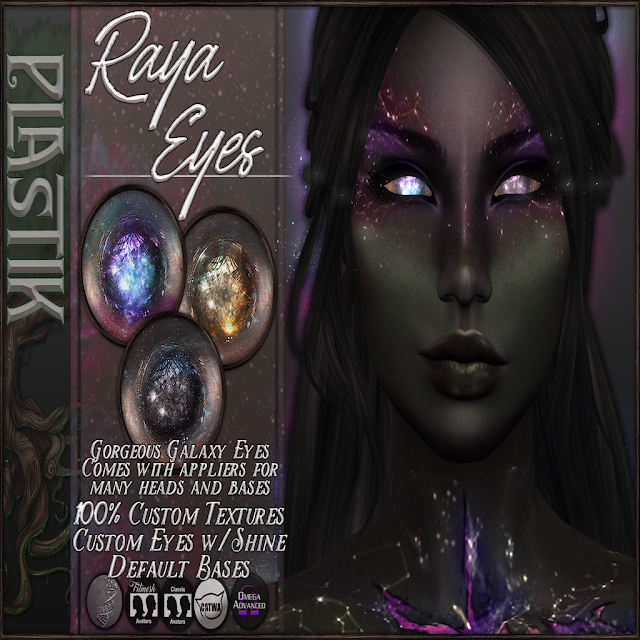 :[P]:- Vylriann Eyes:// Wali @ Pools of Ethuil (Fantasy Faire) - Totally inlove with these eyes from Plastik, so hypnotic ! Available in several colors at the faire. You'll find gorgeous skins, cosmetics, clothing and decor here ! For all your awesome creepy needs ! Awesome stuff for dark souls ! Blogs to keep an eye on ! Created by Angelica Leiner. Picture Window theme. Powered by Blogger.